We’ve had a busy week! It was Matt’s birthday yesterday so we’ve been going out to dinner a lot and haven’t cooked anything elaborate lately. Despite our lack of exciting culinary exploits, I still wanted to share a recipe so here’s a very simple one for tonight: Grilled Zucchini. Slice the zucchinis in half lengthwise. 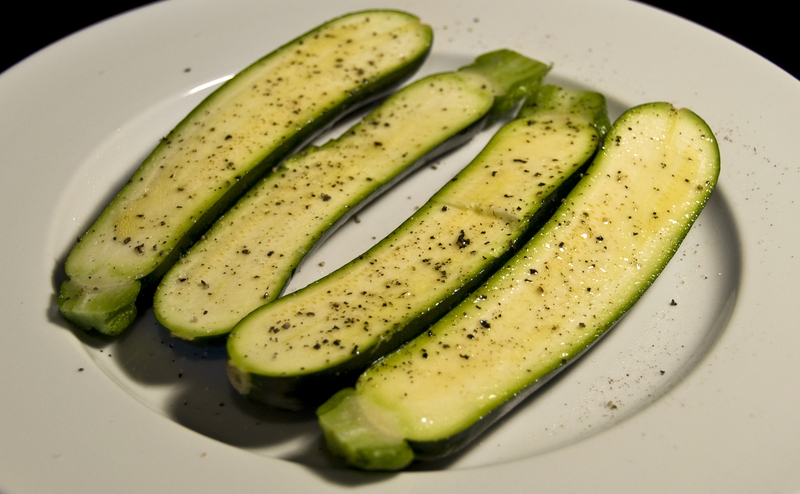 Pour a small amount of olive oil onto the cut side of the zucchini and season with salt and pepper. You can add extra seasonings like garlic powder or Trader Joe’s 21 Seasoning Salute at this point as well. 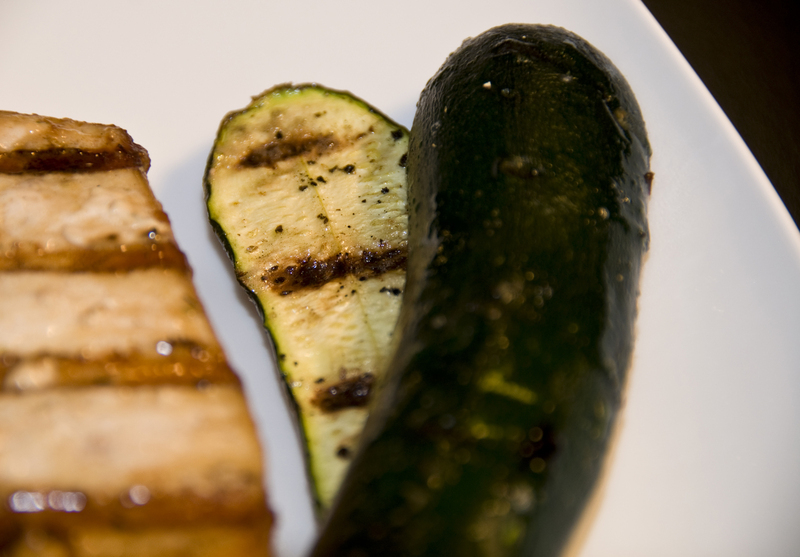 Place the zucchini halves skin-side down over direct medium-high heat on a preheated grill. Grill for approximately 5 minutes and then flip the zucchinis over so that they are face-down on the grill. Grill for another 5-7 minutes (longer for a thicker zucchini) or until they are tender. Remove from the grill and enjoy!